A couple of days ago, Roadracing World broke the sad story of 1978-‘80 500GP champion Kenny Roberts seeking a restraining order against his own son, Kurtis. I’m more inclined to believe Dan Savage (the “Savage Love” columnist) who told Bill Maher, “If you want to elect the person who raised those kids, you need to vote for the nanny.” But the thing is, if you are the kind of person who wants to give a parent credit for good kids, you have to also be ready to blame them for bad kids. The rap on Kurtis Roberts was, he was fast but reckless – to the point of being unpopular with his peers. The 2000 AMA 600 Supersport championship was a barnburner, pitting Roberts against the strongest 600 field of all time. Eric Bostrom, Jamie Hacking, Miguel Duhamel, Nicky Hayden, Doug Chandler… Seriously, if you could put the current MotoAmerica Supersport field in a time machine and send them back 16 years, there’s not rider among ‘em who could dream of a podium. Roberts won that season on the strength of a last lap, last race pass on both Hacking and Bostrom in Willow Springs’ Turn 8, that both Hacking and Bostrom thought put their lives at risk. Roberts opened the next season with a Dale Earnhardt style pass on John Hopkins. I’m pretty sure he wasn’t being invited to anyone else’s motorhome for a beer and burger on Sunday evenings in those years. Suffice to say, the almond didn’t fall far from the tree. Roberts père always struck me as a hyper-talented douchebag. 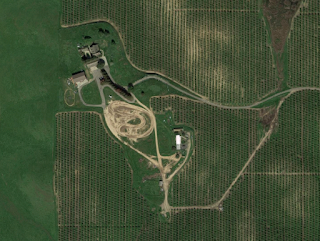 The Roberts Ranch, courtesy of Google. Roberts tried to sell the property about ten years ago but couldn't get his price. Since then, he's planted thousands of almond trees. Maybe he figures he knows something about nuts. So what? What interests me about this is philosophical, not voyeuristic; this isn’t a post about schadenfreude. 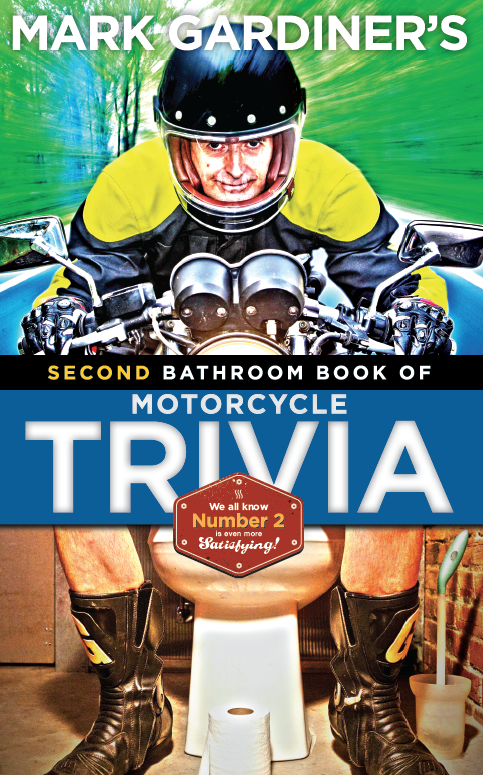 People who become motorcycle racers, or even just fans of racing, admire riders for their on-track prowess. And that should be enough. But it’s human nature for us to assume or at least hope that their riding skill is just the tip of an iceberg. We want to believe they’re smart; ultimately we want to believe that their skill is the result of moral superiority. There’s nothing about this that’s unique to motorcycle racing. Ryan Lochte proved that out of the swimming pool he’s just another entitled douchebag. And don’t get me started on Michael Vick. That, sports fans, is why we’re particularly disappointed when one of our heros turns out to have a full complement of failings. In fact, some motorcycle racers have a golden wrist and, besides that, pretty much nothing but failings. Even so, the thought of a sick, angry Kenny Roberts needing a restraining order against his (heavily armed) youngest son (who has evident anger issues)… it’s all a bit of Shakespeare, relocated into the Central Valley.